When baseball legend Rod Carew visited Konrad Reuland’s middle school to watch a basketball game, the teenager could talk of nothing else to his family that night. Fifteen years later Konrad’s heart saved Rod’s life. By then Konrad had become a public figure too, an NFL tight end — he had played for the New York Jets and the Baltimore Ravens — and by all accounts was in the best shape of his life. But, like so many other healthy people, he was hit without warning by an aneurysm in December when he was 29 and, despite a 17-hour operation, became brain dead. His parents donated his organs, saving the lives of some very sick people, all unknown to them. 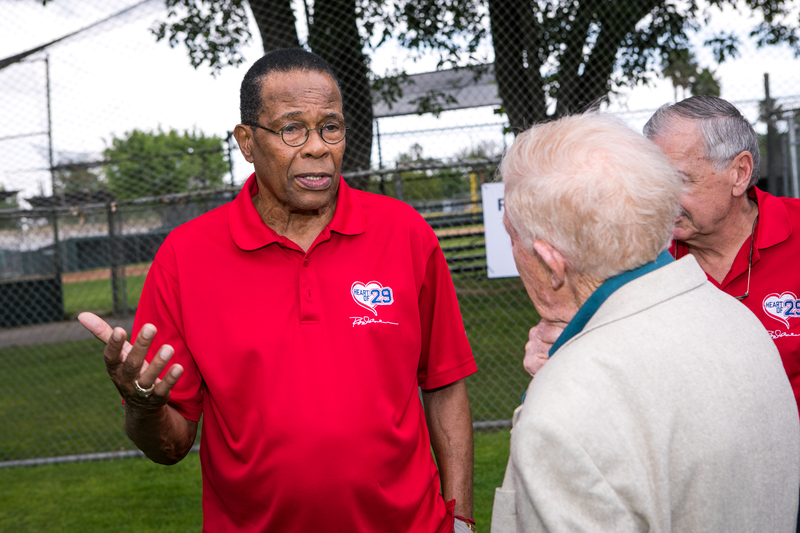 One, it turned out, was Rod Carew, who had developed heart failure after a massive heart attack in 2015, and it was Konrad’s mother, Mary, who figured it out after friends wondered aloud if he could have been Carew’s donor. All she knew was that the heart came from a 29-year old who lived in Southern California but it was enough for her to ask question after question until she found out what she could scarcely believe: that part of her son was keeping alive a man he had idolized. Carew, now 71, was an icon to millions: the Hall of Fame Minneapolis Twins first baseman who was a seven-time American League batting champion and who stole more bases in one season than anyone in history except Ty Cobb. At the time of Konrad’s death, however, he was a man struggling to stay alive, the only possible cure being a donated heart. Given the severity of his condition, the need for the new heart to be compatible with his own and the chronic scarcity of families willing to donate the heart of a loved one who has just died, the chances were dauntingly small. At this press conference, held appropriately at the Little League stadium in Encino, California, I asked the two sides if meeting each other was beneficial. Neither hesitated. “Absolutely,” said Mary and Rhonda, Rod’s wife, added, “We feel we have known each other all our lives.” The Carews are profoundly grateful to the Reulands and the Reulands are comforted that Konrad’s decision to say ‘yes’ to organ donation, when he renewed his driver’s license a few months earlier, has saved the life of such a revered man. More broadly, just as donating an organ gives solace to almost everyone who does it, Mary commented, “Knowing a piece of my baby is still down here on earth is a great comfort.” I had to fight back the tears. To call a 6-foot-6, 270-pound football player a baby in public takes boundless love and almost unbearable pain.